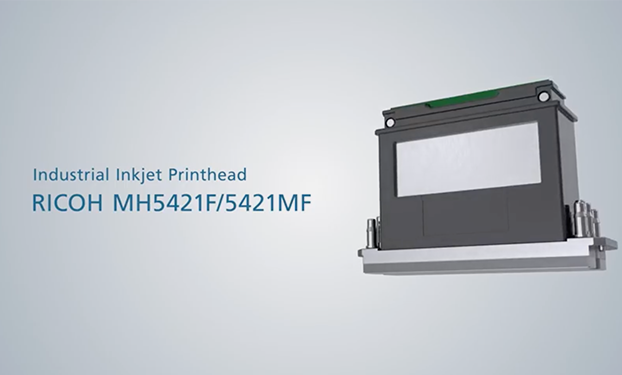 With 1,280 nozzles configured in 4x150dpi rows, this head achieves high-resolution 600dpi printing. Isolated ink paths enable a single printhead to jet up to two ink colors. Additionally the printhead is provided in two viscosity formats (F/MF) for optimized fluid handling performance. 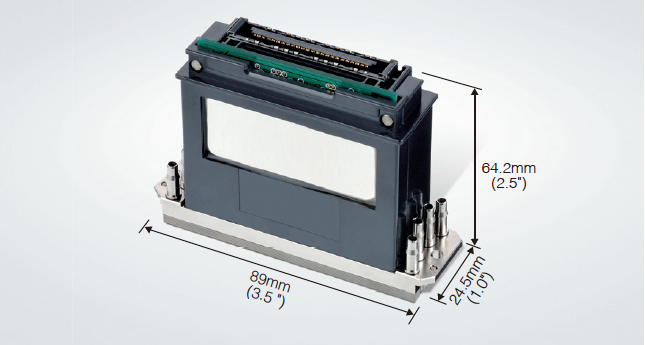 *Single-pass system : the printhead carriage remains in a fixed position and completes image printing in a single pass while the print material is conveyed underneath. Achieves excellent gray-scale rendering at up to 4 levels. 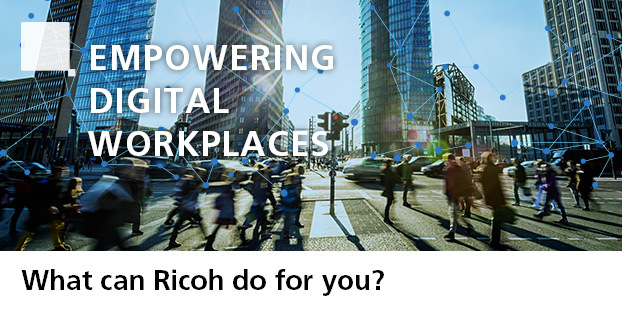 Ricoh inkjet print heads are made of stainless steel. These heads are highly robust and offer excellent anti-corrosion properties for multiple inks, resulting in excellent durability and extended service life. The multi-drop capability allows the creation of a range of drop sizes enabling gray-scale printing. 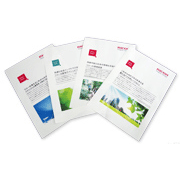 Choose from 11mPa･s ink viscosity or 6mPa･s ink viscosity models to suit your application. *Results obtained from continuous jetting test using standard Ricoh test fluid.